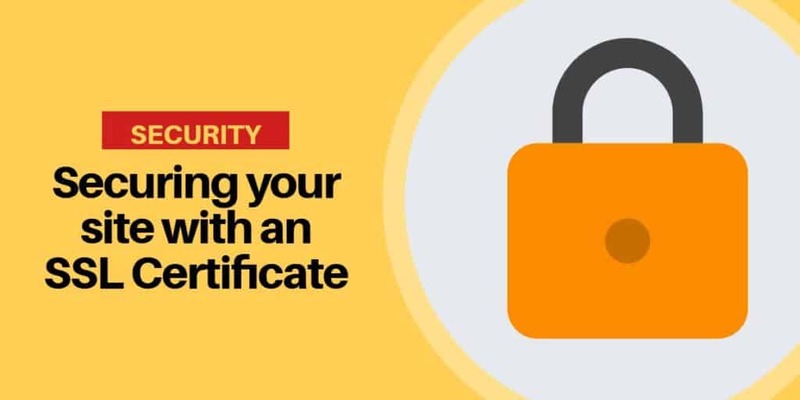 Securing your website with an SSL Certificate ? SSL Certificates at one time were used primarily for e-commerce websites. But now it’s just good practice for every site to have an SSL Certificate enabled. The little padlock in your URL bar is an indicator that a site has an SSL Certificate. It encrypts data sent from your website to a server. Protecting the data from being read by anyone that’s not intended to read it. Google even gives your site a small rank boost if you have one. An SSL certificate will shield your website from digital bugs such as a man in the middle attacks. Many small business owners dismiss it rather than being crucial for their website. They think their site won’t get attacked because it’s just not that big of a deal. What they do not realize it’s that most interceptions are electronically. These bugs are continuously looking for vulnerabilities, and if that your site is vulnerable it’ll be assaulted. In case your website accepts major credit cards for shopping online then you are likely to need a merchant account, that requires your you to have an SSL certificate. Most website hosting companies require websites to be secured with an SSL before accepting credit cards. If you’re not using an SSL certificate, then you’re putting your client’s financial info at risk. In case your site requires users to log into the website for access it’ll need password protection. Your hosting provider can usually assist you with an SSL Certificate. If not, Let’s Encrypt is a great place to get a free Certificate. Once you get your SSL Certificate go to https://www.whynopadlock.com and enter your URL to test that all your content on is secure. It takes about 30 seconds to run the test. The results will let you know what changes you need to make. Once you correct all the non-secure elements of your site, run the check again until everything is secure. All of our website subscription plans at Shinybot include website monitoring, regular security checks, daily offsite backups, an SSL certificate and more. We make sure everything is continually checked and running optimally at all times. We handle all the backend work so you can focus on your business.